We have found 288 items matching your search query. Industrial Man Lifts For Every Need Your work site has a project which needs to be completed at a height of 20 feet or more. How are your workers going to access this site? Industrial man lifts are able to quickly, safely, and affordably provide your workers with the access they need. 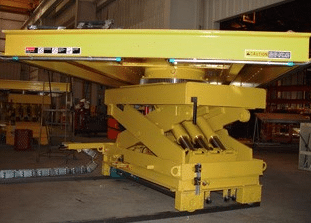 With multiple designs available to meet the specific needs you may have, you'll be able to improve the quality of your work and how fast you are able to complete projects with the right lift. Which industrial man lift will best fit your unique project needs today? Boom Lifts. This design allows workers to access free-standing project sites of varying heights with ease. These industrial man lifts also provide material lifting benefits. Trailer options with this type of lift make it easier to access remote job sites safely. Many models offer automatic leveling as a feature as well. Articulating Lifts. Similar to the boom lift design, articulating lifts allow workers to have a further outreach and precise positioning. This allows job sites with terrain or architectural challenges to be safely accessed with ease. Many baskets with these design are fully modular and offer an upper control mechanism for precision handling. Scissor Lifts. 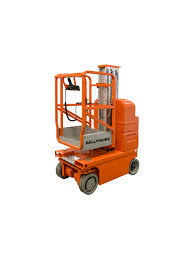 This type of lift is generally used for indoor work. 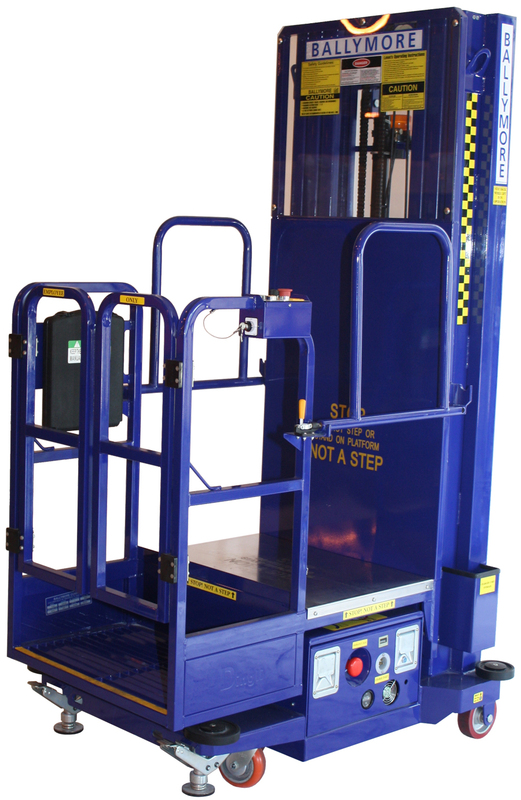 Platforms of various sizes are available for this industrial lift so multiple workers can be supported at once if necessary. Low noise and emissions support a lift which takes workers up in a vertical fashion. Lift Ladders. 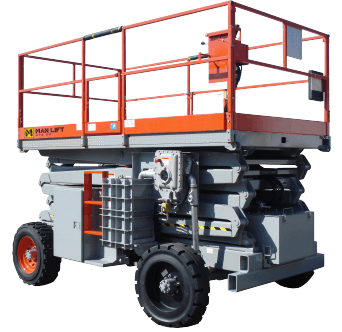 This unique design allows workers to climb up to the working platform without the need for a hydraulic or powered lift to achieve the correct height. Some models offer varying height levels, though most of the industrial man lifts in this category generally offer a fixed height only. You will also find utility trailers, telehandlers, and other portable work platforms available in this category that meet a wide variety of the professional needs your work site demands every day. 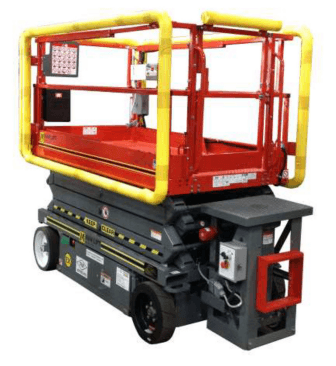 Why invest into an industrial man lift today? The modern aerial platform provides a greater level of safety for workers in hard to reach areas. Efficiencies are increased because workers have more mobility. In return, you receive more flexibility in what you can provide, giving you more options when you're bidding on contracts. With one investment, you immediately begin to receive dividends in both time and cost savings per project. Almost every industry benefits from being able to access a high quality aerial platform. 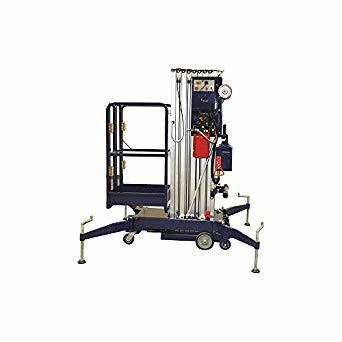 Building maintenance, janitorial work, tree services, HVAC services, and construction contractors can lift workers and materials in 30-40 seconds in a safe manner. Warehousing, order picking, and other indoor industries also benefit from owning the right lift. If you're still using a basic ladder or scaffold to provide workers with the platform needed, then consider lowering your potential risk factors today by looking at how industrial man lifts can change everything. Custom lifts may also be available to meet your specific needs. Contact us today and together we'll find a solution that saves you time and money in the future, yet still works with today's budget demands. 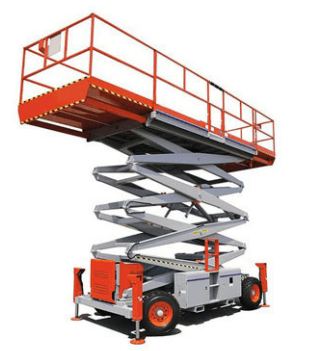 For aerial work platforms that give provides you easy access when conducting aircraft maintenance and repairs, browse through our collection here.